Garant, Homeowner lawn roller with a 155 lbs. Pressure capacity. 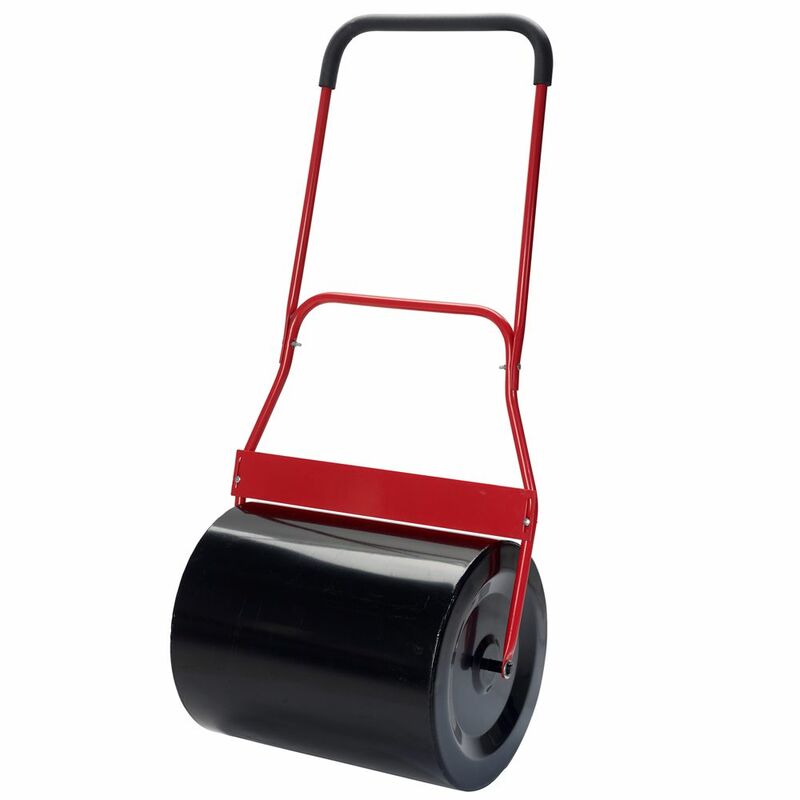 Designed with a heavy gauge steel leak proof roller and retractable steel handle with large scraper bar for a cleaner job. Cushioned handle for comfortable working hours. Slotted plug for easy manoeuvring. Perfect to compact your lawn and newly spread soil. Homeowner 20-inch W x 16-inch Dia Lawn Roller Garant, Homeowner lawn roller with a 155 lbs. Pressure capacity. Designed with a heavy gauge steel leak proof roller and retractable steel handle with large scraper bar for a cleaner job. Cushioned handle for comfortable working hours. Slotted plug for easy manoeuvring. Perfect to compact your lawn and newly spread soil. Homeowner 20-inch W x 16-inch Dia Lawn Roller is rated 2.5 out of 5 by 2. Rated 1 out of 5 by disappointed from defective product leaky stopper - does not seal tightly in spite of rubber casket - and will leave a rust stain on concrete when it leaks. also has welds which are uneven so that the scraper part cannot be adjusted evenly. a bad deal! Rated 4 out of 5 by older singleton from Does the job This came unassembled and so fit into my small car. It wasn't a snap to assemble -- not a precision tool -- but once assembled and filled did a fine job. It was heavy enough to work well, but not to heavy for an older woman to pull by herself.